The Dragon that Engulfed the Sun is a two-player operational-strategic-level wargame simulating a hypothetical Chinese invasion of Japan. 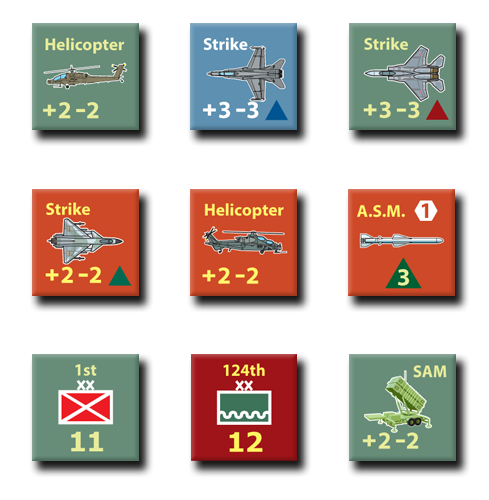 The premise of this game is a sudden war has erupted on the Korean peninsula, compelling China to intervene in the conflict—this time well before the United States could reinforce South Korea sufficiently to prevent it from being overrun. 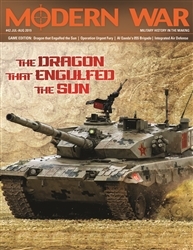 The Chinese realize there may never be another opportunity to completely extirpate the US from the Asian mainland, they have irrevocably committed themselves to this path, and thus it is their resolute intention to finally settle old scores with the Empire of the Sun. 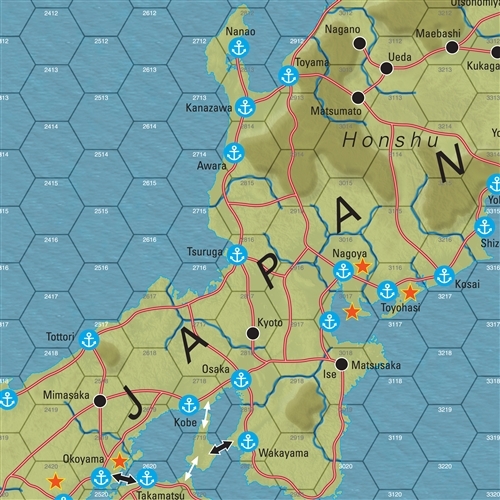 The map covers the militarily significant terrain of Japan and surrounding areas. Each hex on the map equals ~36 miles (58 kilometers) from side to side. Each game turn represents about a week. Playing pieces represent divisions and brigades, as well as occasional regiments and even battalions.